Ballet has a ton of ins and outs that aren’t always apparent in the final product, and Madison Ballet’s newest production, “Black/White,” which ran Oct. 14 and 15, is no exception. The cast consists of 14 professional dancers who have been rehearsing five days per week since Aug. 29 when the season began, working with the artistic director Earle Smith. Smith has been choreographing for more than 25 years, after having been a performer himself for a number of years. This will be his 18th season working with Madison Ballet. The rehearsal process began with the dancers mastering the choreography and then adding in the creative touches that transform the pieces from a set of steps and movements into breath-taking art. “Black/White” combines four pieces with starkly contrasting movements and a concentration on sharp angles as well as curved lines, Smith said. It also had a minimalist setting allowing for pure focus on the athleticism and mechanics of the dancers as well as the impeccable musicality. Each of the four works takes the audience on a different journey just as captivating as the one before. 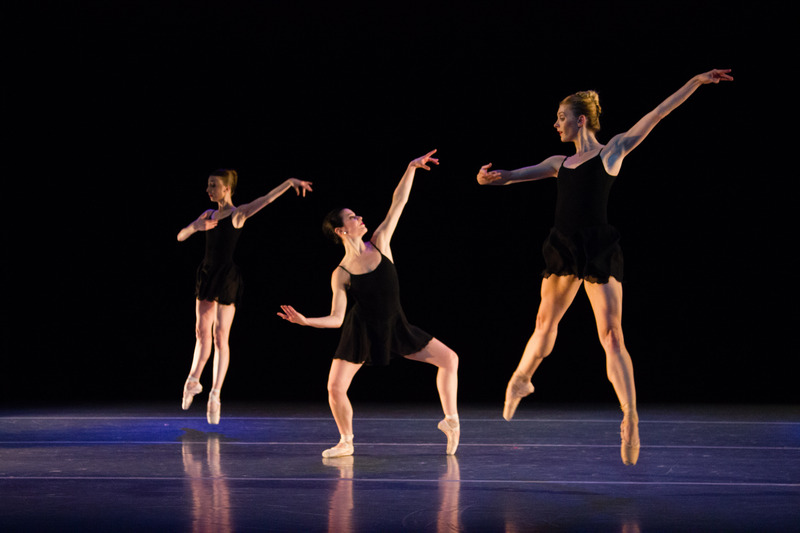 The first, titled “The Four Temperaments,” is an excerpt of a George Balanchine work. Smith said he danced in this piece in past years and that the working on it again has brought back his own personal memories and experience with it. 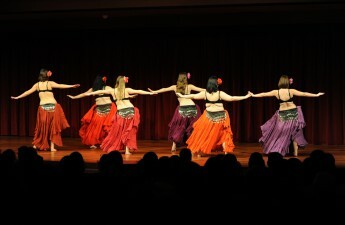 Smith called it very “nostalgic” to watch his dancers perform a piece from his earlier career. The next two pieces, titled “Street and Sonata No. 1,” are works that Smith premiered in past years that he has chosen to bring back to life. Smith talked about his tendency to slightly alter parts of pieces he has done in the past to better fit the dancers with whom he is currently working and the atmosphere he wants to create each time. The final piece of the performance contains choreography from fellow choreographer General MacArthur Hambrick. Smith said the work is a neoclassical ballet that is representative of Hambrick’s own experience as an African-American. “What’s so interesting about it is how he used that neo-classical ballet vocabulary yet he inserts his own African-American experience into the movement,” Smith said. Smith’s personal style of choreography shines through in the pieces he directs. While he describes it as very “sharp,” “athletic,” and “musical,” he also said that “over the years the best way for me to let my style come out is to trust myself,” explaining the idea that his art is never going to be forced to fit a certain mold, but takes a path of its own to become something more meaningful and breathtakingly beautiful.